Our little guy made his appearance at 7:50 this morning, weighing 7 lbs 1 ounce, and measuring 19.5 inches long. He is healthy and doing well. 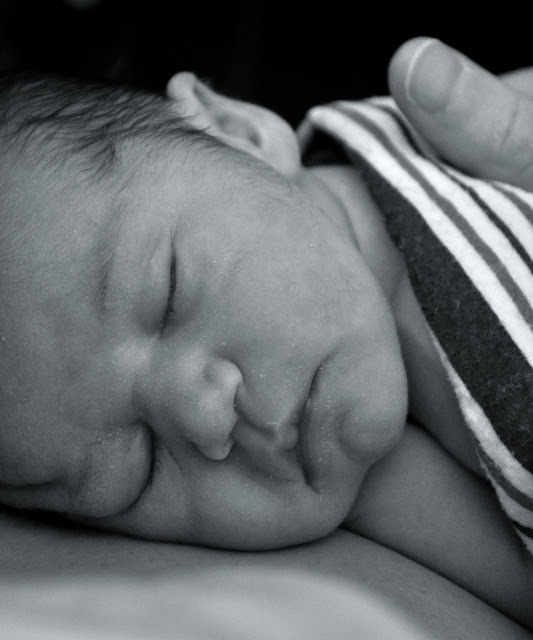 He was welcomed by two tired but ecstatically happy parents, three grandparents, an aunt, and a wonderful group of midwives and nurses at Group Health - Central. It was truly a team effort. Oh my goodness! Congratulations, you guys! Wonderful wonderful! Congratulations, and welcome, Benjamin! Congratulations you guys! Great news. The Adventure Begins!!! Oh Sonja! I am so, so happy for your little family! I cannot wait to see pictures and read all about him! Congrats! Congratulations Sonja and Chris. Welcome to beautiful Benjamin. For all that is good in the world, that is one sweet little babe. Congratulations to you and your family!